Hemet Unified School District (HUSD) is pleased to announce that an additional 45 students have become a part of the graduating class of 2018. The commencement ceremony was held in the Tahquitz High School Theater on July 13, 2018, at 4:00p.m. 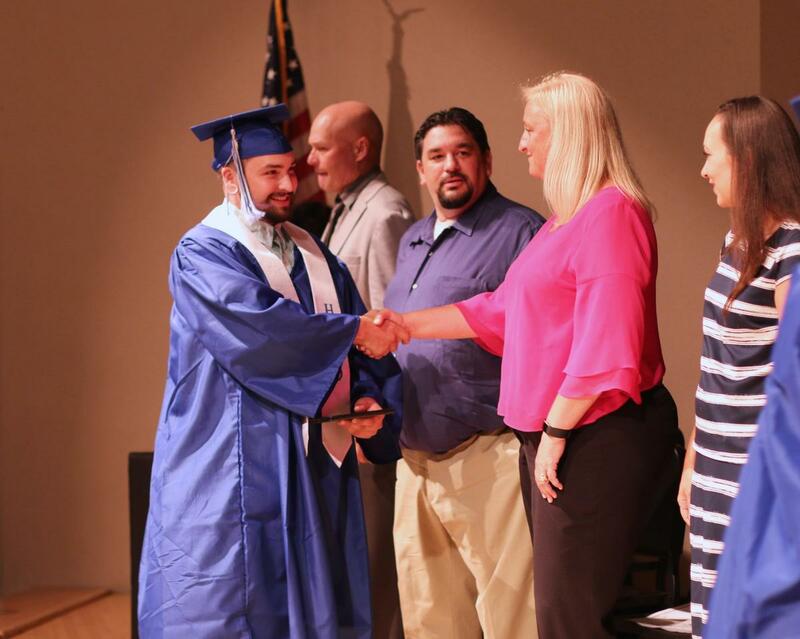 These students completed the required classes during Summer School and were able to graduate as part of the class of 2018. The theater was filled with families and friends, Principals, Assistant Principals, and District employees all showing their support. The graduating students were met with loud cheers as they marched across the stage to receive their diplomas. Assistant Superintendent Tracy Chambers expressed her admiration for the students’ dedication. She encouraged each of the students to reflect on their journey and the remarkable effort they put into reaching this particular goal. She thanked the families for the guidance and support they gave to their child as well as their endless encouragement. Everyone expressed heartfelt congratulations to this class of 2018. Overwhelming respect was shown to these graduates who, despite the challenges, were able to overcome and reach their goal.